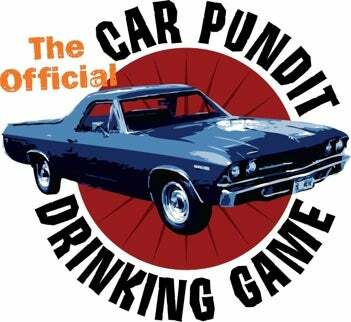 Those of you who enjoyed our esteemed editor Ray Wert on The Coblert Report should get out the shot glasses as we have another round of the Official Car Pundit Drinking Game today at approximately 11:45 am (EST) on CNBC. The topic will be the LA Auto Show and Wert's challenge will be to try to talk about green cars, luxury convertibles and exotics within the frame of the automaker bailout. It'll be live from the floor of the show because we've been banned from using the Gawker private plane to travel. Tune in and drink up.